Prairie Stitches Is In The House! Yesterday, the FedEx guy delivered bolts, and bolts, and bolts of Prairie Stitches fabrics!!! Yay!!! 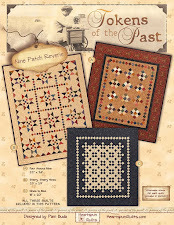 Next week, the cutting will begin for all of the kits for my next Pocket Patchwork Sew-along, Market Day!! Ooohhhh....I can hardly wait....I'm sooo jazzed! Now, in case this is the first you've heard about my Market Day sew-along, we'll be making a small quilt starting in April, exact start date to be determined (soon!). You'll receive instructions on what block(s) to make every Friday for ten weeks. Yes...it's a mystery, but oh so fun! 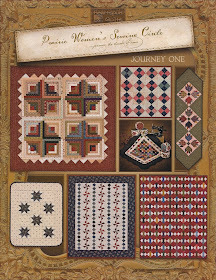 You can order a kit using my new Prairie Stitches fabric line (Marcus Fabrics) or you can choose your own fabrics. Click here for more info all about my Market Day Sew-Along. Remember, the easiest way to get the instructions is to enter your email address in the "Follow by Email" icon found on the right hand sidebar of my blog. You should receive an verification email, and once you verify that you've signed up, you'll be all set! That way, you can simply print the email and take it to your cutting and sewing tables. 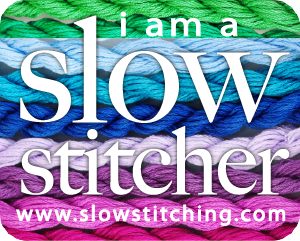 Please tell your friends about the sew-along!! This is also the LAST CALL for ordering kits. I won't be able to take any more orders after April 1st!!! 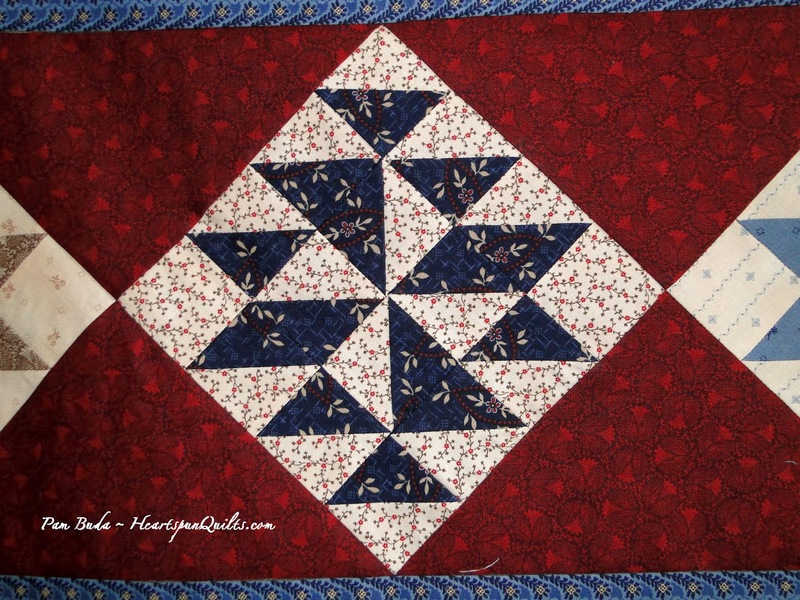 My quilt is patriotic in it's red, lights, blue and a dash of gold colorway. It's so darn cute if I do say so (very humbly!!) myself. Click here for order information. 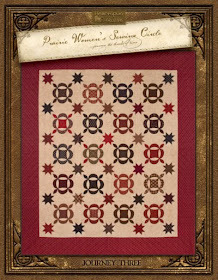 Lucky Stars Antique Quilt In AP&Q magazine!!! Every now and then, while on my regular antiquing adventures, I come across a sweet treasure. Last year, I found this beauty. Isn't it spectacular? (I can say that because I didn't design or make it!) 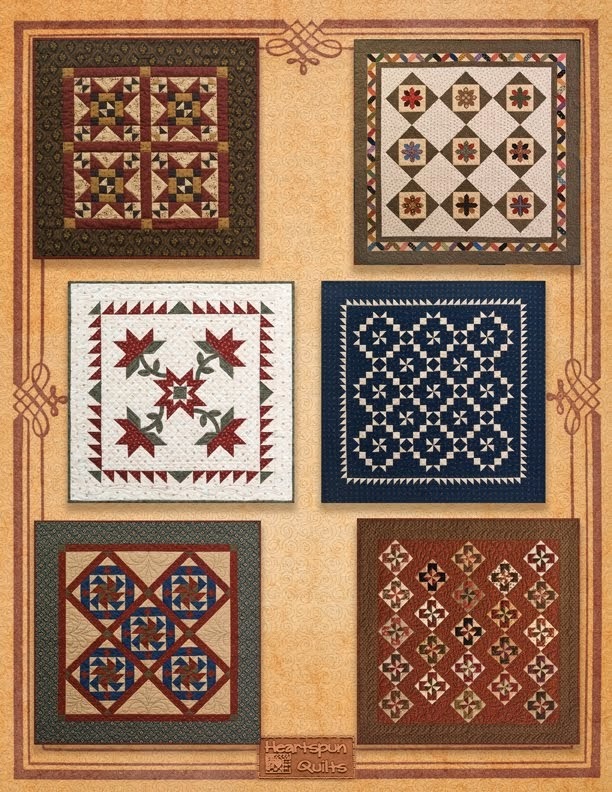 It was too good to keep to myself, so I called my friends and American Patchwork & Quilting magazine to ask if they were interested in having the quilt in the magazine, and they loved it too!! Copyright 2014 Meredith Corp. All rights reserved. 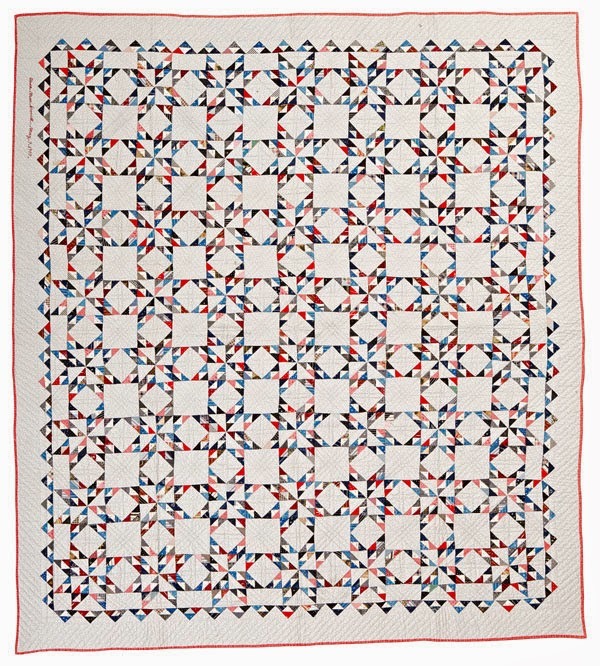 The quilt is called Lucky Stars and it's a beauty. Made just after the turn of the twentieth century (it's signed and dated! 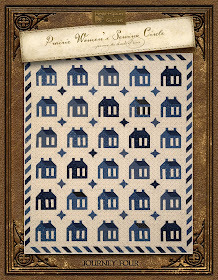 ), it is loaded with a wide variety of shirtings, and tiny blue, red, black and pink calico prints. Does this look hard to you? Intimidated by the many small pieces? Well don't be! 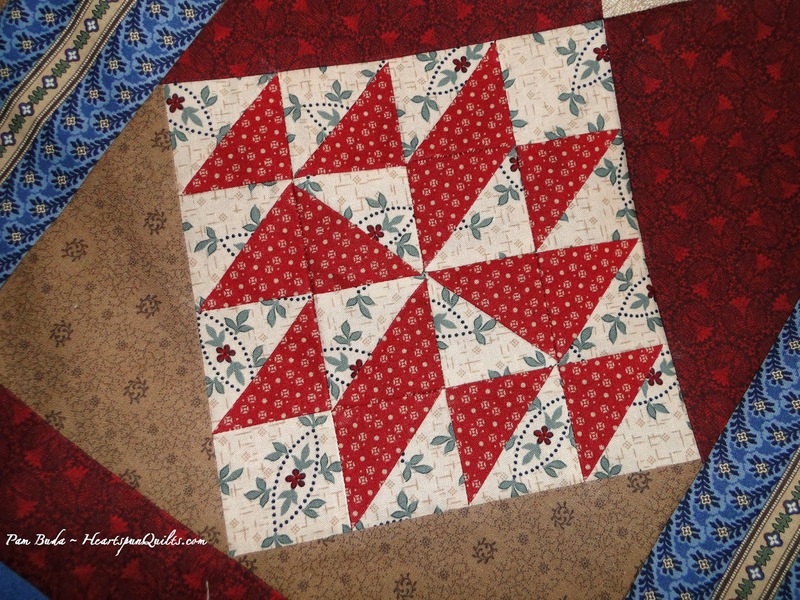 The blocks and the border are made from just one pieced unit! It's a simple unit to make, just a humbling amount of them. Like so many worthwhile quilts, they are not meant to be knocked out in a day, or week, or even a month. Better to tackle them over a longer span of time and take your time with them. 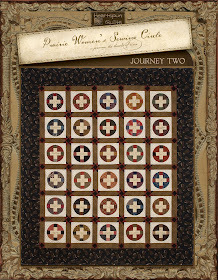 Enjoy the piecing journey! 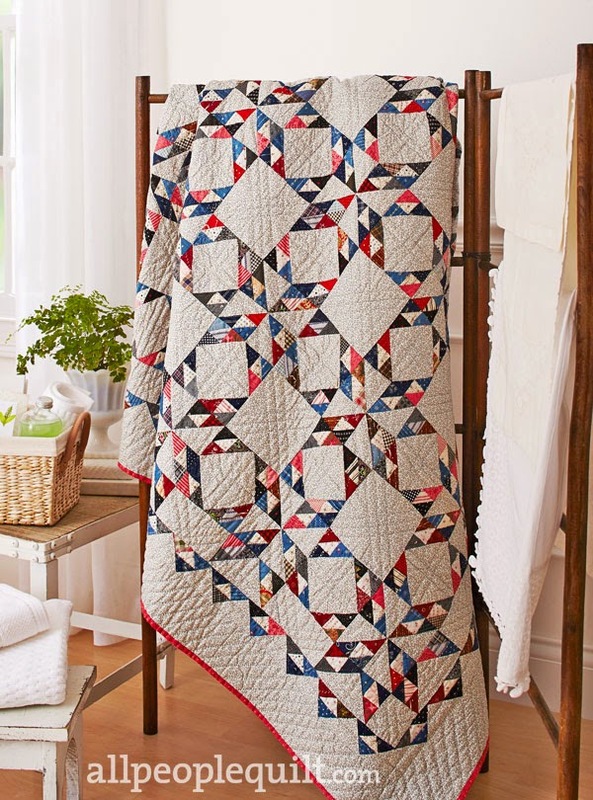 A little here, a little there, and before you know it, you've made this spectacular quilt!!! 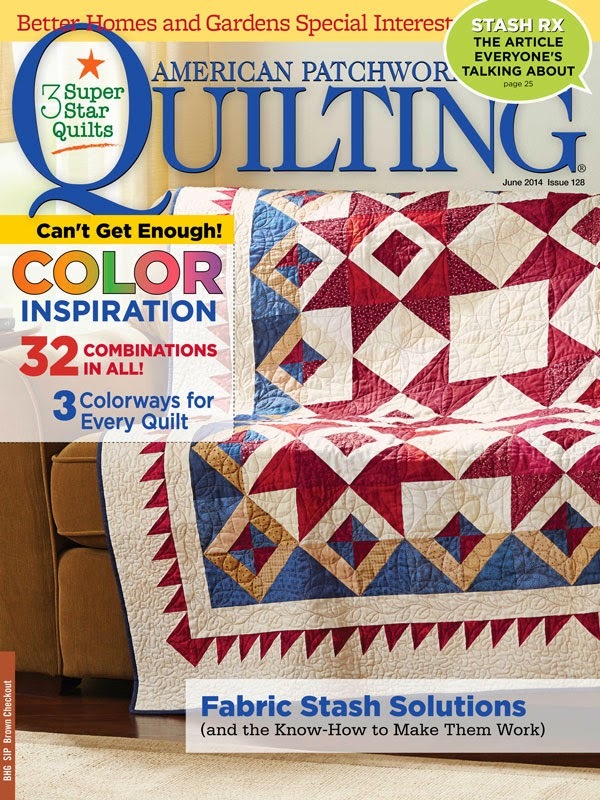 Lucky Stars will be in the June, 2014 issue of American Patchwork & Quilting magazine which will be arriving in your mailbox and the newsstand any day now. Click here to see my project, and all of the featured projects from this issue. Oh, and just to let you know....I take my own advise....about enjoying the piecing journey and taking my time making a great quilt. 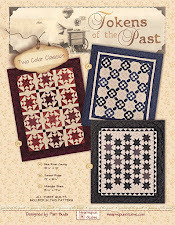 Look for my new, original quilt design in a future issue of American Patchwork & Quilting, so stay tuned! If you've been thinking about purchasing the fabric kit for my upcoming Market Day sew-along, you have just a little more time to order yours. I have a limited supply and they're almost all sold out. I'm just waiting for the fabric to arrive so we can cut the kits and get them in the mail. Once that's all done, we can begin the fun. Personally....I can hardly wait! There are just no proper words of thanks to all of you whom commented about what quilting means to you in celebration of National Quilting Day. Each comment was more touching than the next, and I share so many of your thoughts and feelings about our passion ~ quilting. As I read each comment, my heart and soul were filling over with a greater sense of community, friendship, and gratitude for being a small part of our shared experience. We are kindred spirits, to be sure! If ever you're feeling a bit lonely in your quilting day/life, I encourage you to read the comments from this post. You are so not alone! You will find yourself in the words you read, and get ideas and motivation to join a guild or bee, for there, you will surely find a friend. Please take a little time to read a few of these comments....it will do your soul a world of good! Thank you all for your comments, from the bottom of my heart! Now, for the winners of my contest! I wish I had a gift for all of you. I do, however, have goodies to give 7 lucky readers!! Quilting has touched my life in sew many ways, but one of the biggest ways has got to be how it has connected me with so many wonderful people all over the world. I have many treasured friends that I would otherwise never have met. Quilting gives me purpose and direction and a constant variety of challenges and new skill sets. Quilting for my family, friends and others has been a blessing, an ongoing learning experience and allows me a creative outlet. 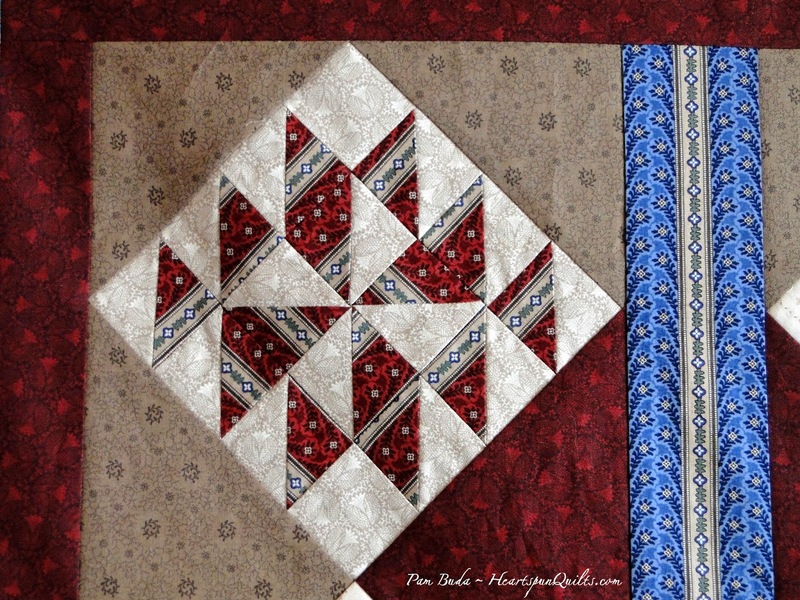 Quilting has always been a wonderful creative outlet for me, and I love the fact that so many quilters now have blogs that inspire me to try new things. As a kid, I was never any good in art class and I thought I was just not cut out to be artistic. 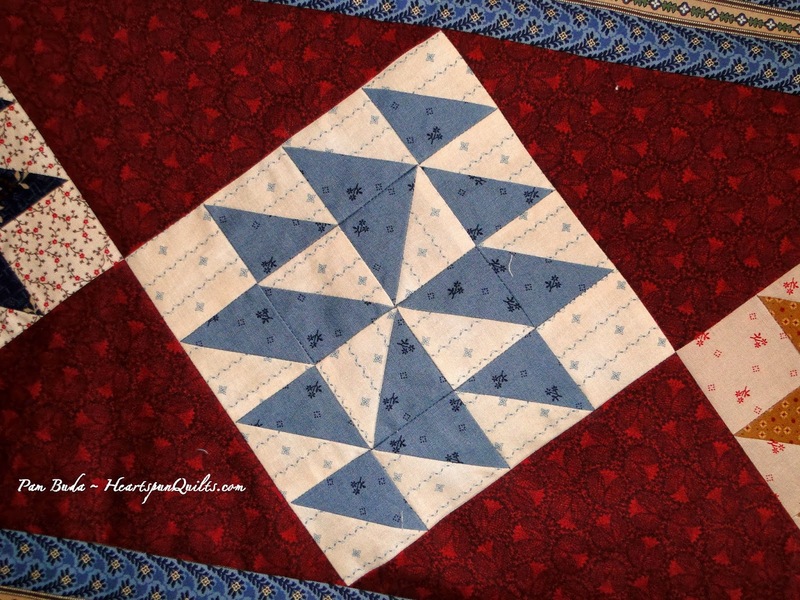 When I discovered quilting, I knew I had found my creative outlet. Every time I go into a quilt store I'm like a kid opening a new box of crayons. 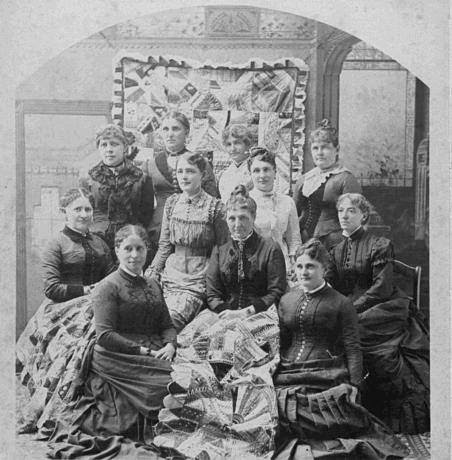 In addition, there's a whole community of quilters that I have come to know through our shared love of the craft. I know that quilting will always be a big part of my life. Quilting has brought so much joy to my life. The friends I've met through quilting has been huge. Not to mention the stress relieve it gave me through the difficult times in my life and being in a demanding job. I always took 15 mins a day to sew when I was working and that's all the time I had. It's surprising how much can be accomplished with a small goal. 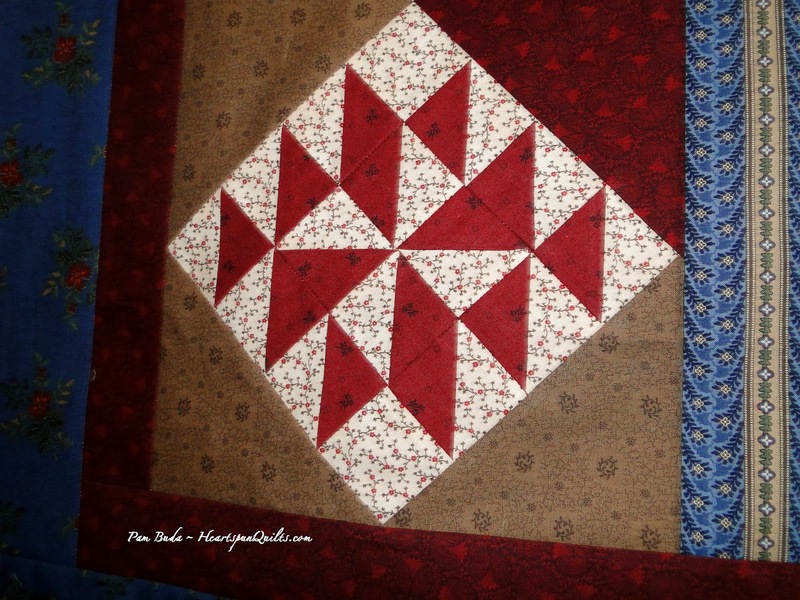 I can't imagine life without quilting! Quilting has become a driving force in my life, especially after my husband passed away..sometimes I would sew until 2 or 2:30 in the morning. And then fall in bed exhausted..Quilting filled many long days for me..Both of my grandmother's were quilters so I am hoping that I inherited my love for it from them, I just wish now that I had asked them many questions about the craft...It is very fulfilling to see a beautiful quilt that you have finished laying on the bed. Quilting is something I share with my 83 year old mother, my sister and my daughter. We encourage one another with and through our projects. We inspire one another. And we share our triumphs and mistakes. Quilting has given the four of us a common interest that binds us closer together. I can't imagine my life without quilting. Thank you for the opportunity. And thank you for all of the inspiration you give. When moving to not only a new community but also a new state, it brought me new friends. It drew me out of my shell and let my creative juices flow. It also drains my pocketbook! Ha Ha!! Congratulations to the winners, please email me your address so I can get your prizes out to you. Do you remember reading my blog post about perfection? 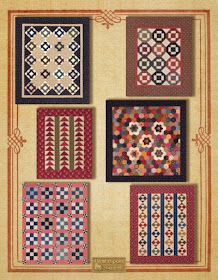 Um....well...I hope you believe in giving us less-than-perfect people a break because.....I omitted four squares from the Market Day yardage list in a previous post. So, so very sorry about that! Again....I'm acutely aware of how valuable your time is to you, and I'm terribly sorry for the inconvenience!! 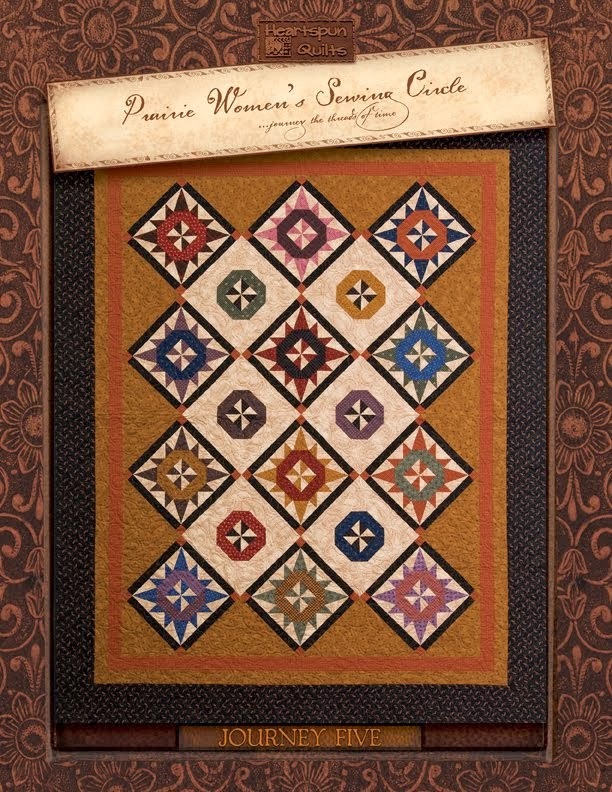 Today is National Quilting Day and what a wonderful thing to celebrate! I'm just amazed thinking about all of the wondrous things quilting has brought into my life. Far more than just a soft and cozy quilt to cuddle under each day. Meeting, talking, emailing and Facebooking with so many of you has been such a fun part of quilting. I enjoy all the ways I get to interact with quilters from around the world, and it bring happiness to my life each day. To celebrate and give back to the craft and quilters that have given me so much, I thought I'd hold a little give-away! I have several bags loaded with assorted scraps from my past fabric lines, some patterns, and perhaps a surprise or two. 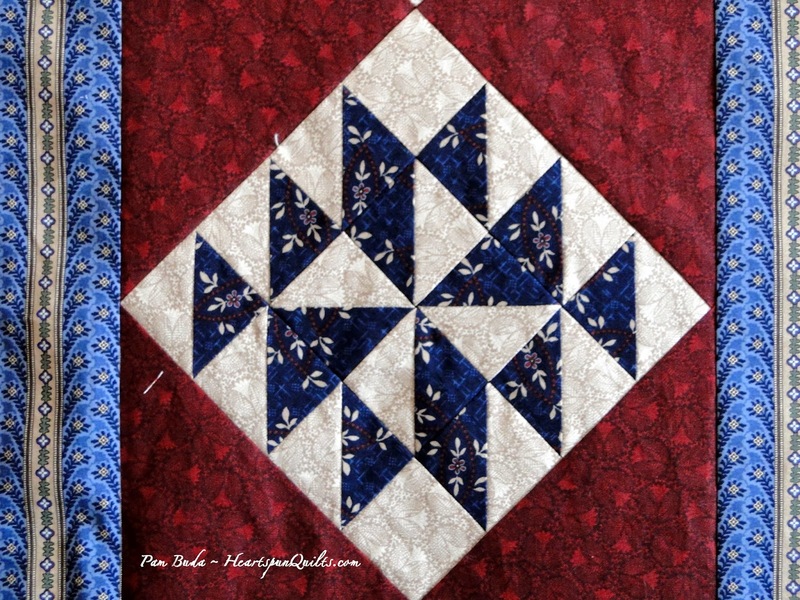 Leave me a comment about how quilting has touched your life. Comment by midnight, Monday the 17th, and I'll post winners on Tues. I hope you get to spend some quality time with your sewing machine or hand stitch a bit, and enjoy yourself. I'm gonna try to do the same. 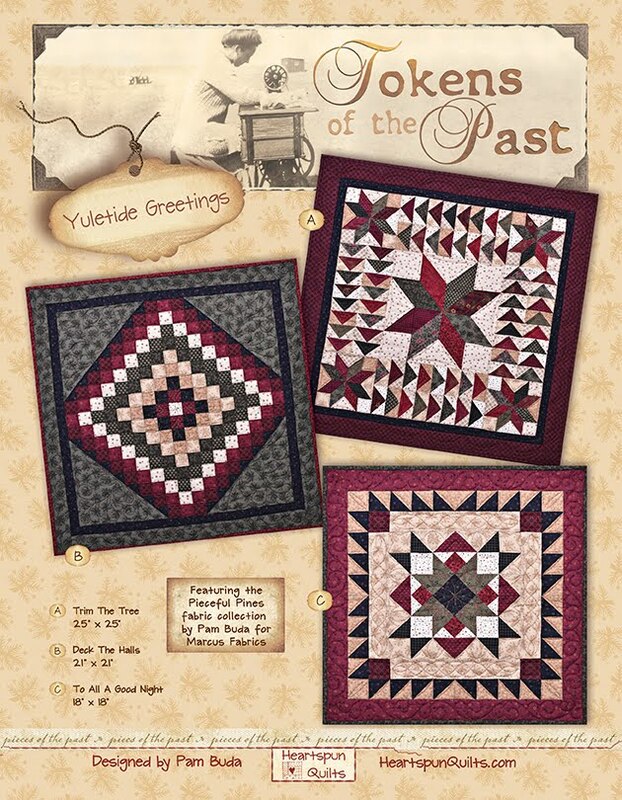 Wishing you peace while piecing! 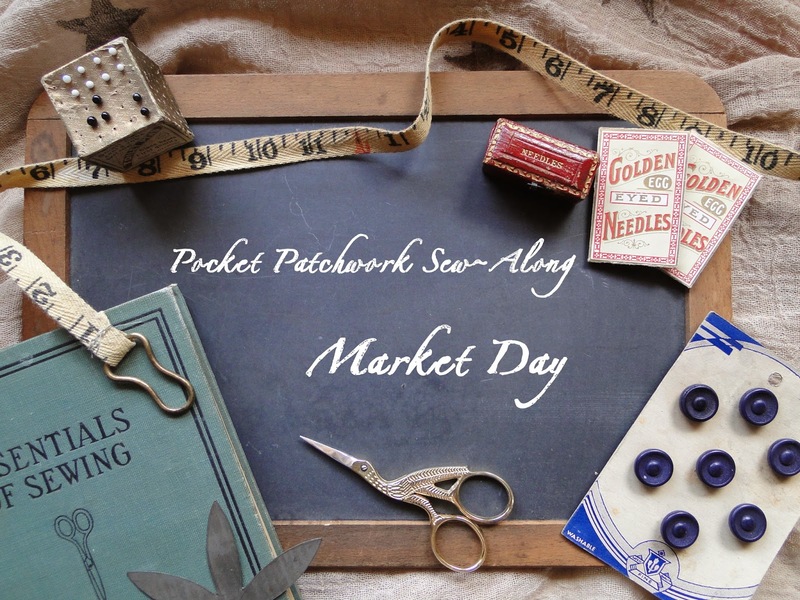 Market Day Info ~ My New Sew-Along!!! It's been a long time since we've sewn together....too long, don't ya think? I'm jazzed to get started. 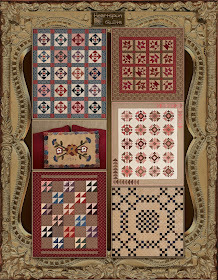 I chose selected fabrics from my new Prairie Stitches collection for this quilt. My sample will have a bit of a patriotic theme about it, but only because of the colors. The quilt is different from any other I've done thus far, and I know you're going to love it!! It is really, really cute, if I do (humbly) say so myself!! The sew~along will begin late April, exact date is yet to be determined. 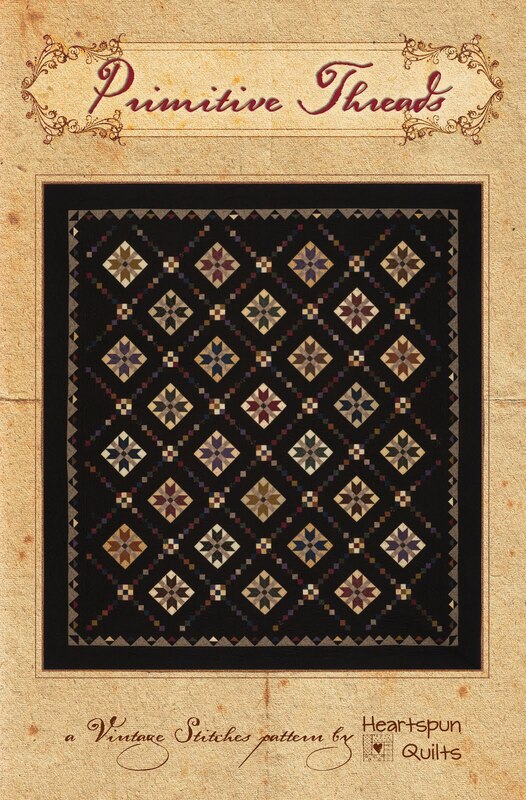 The size of the quilt is 30" x 30", with the block size at 3 inches. Now...don't let that deter you as these are very, very simple blocks!! Trust me, you won't have any trouble! I also have something up my sleeve for those of you looking for a bigger challenge. Hhmmm....got ya thinking?? There will be ten parts to our sew~along, with each part posting on a Friday. 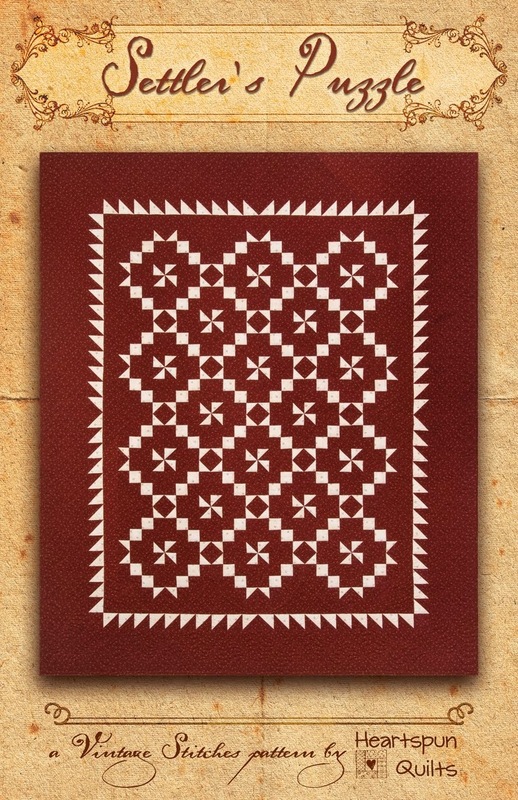 The pattern for my Market Day sew~along quilt is completely free!! 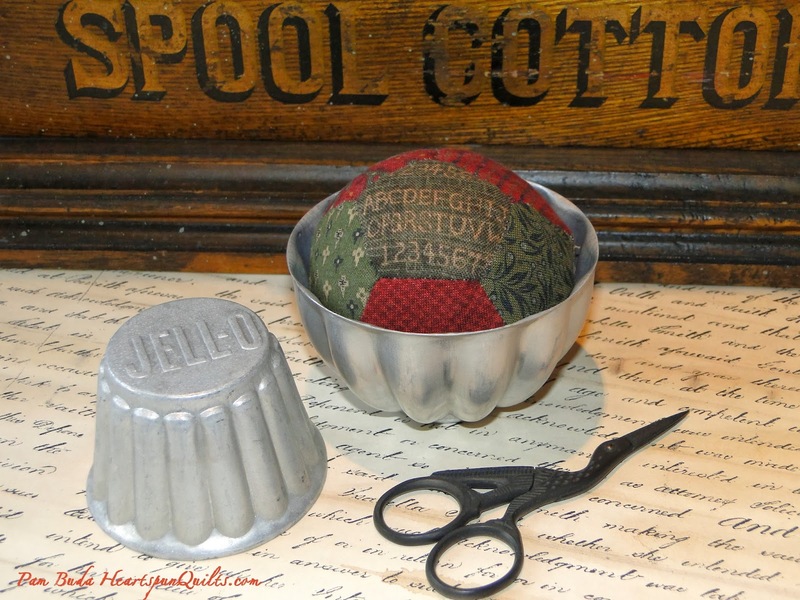 The best way to receive the pattern instructions is via email so you can easily print them. 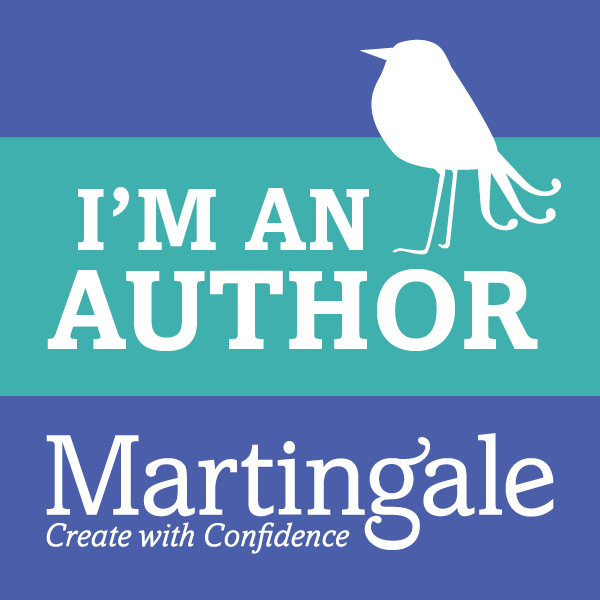 To receive my blog posts via email, simply enter your email address in the "Follow by Email" icon, found on the right hand sidebar of my blog. You'll receive a verification email, and once verified, you'll be all set! Once again, I am taking PRE-ORDERS for fabric kits of the exact fabrics you see in the photo above. 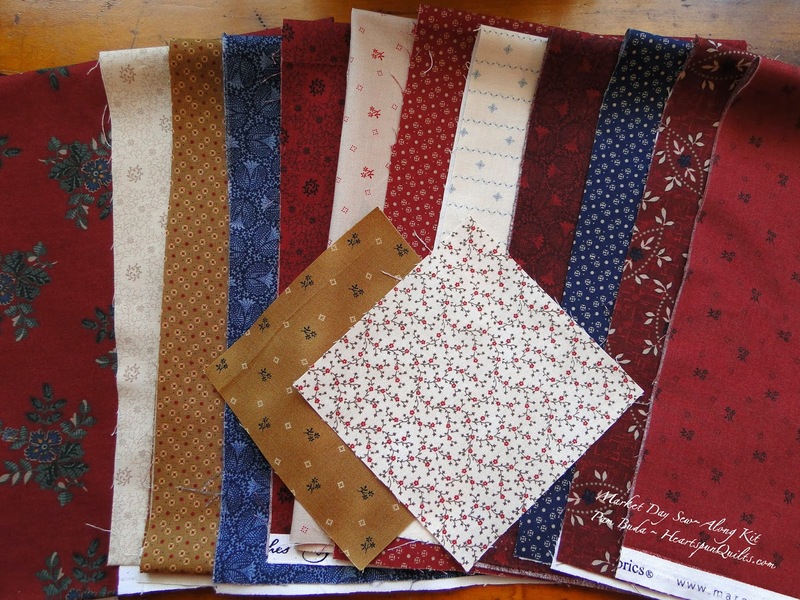 The kit includes all fabrics needed for the quilt top, binding, and backing! (Backing fabric not shown, but will be from the Prairie Stitches collection.) If you order a kit, it will ship in April and you will receive it before the sew-along begins. Order your kit before April 1st, 2014!! I'm sorry, but no orders will be taken after that date. Click here for all order information. International orders are welcome. Click on the link above for order info. 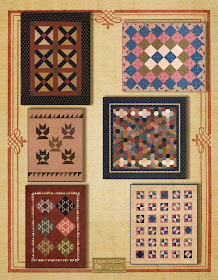 As always, you can certainly choose your own fabrics, and we've had the pleasure of seeing many, many versions of my sew~along quilts during the "Airing of the Quilts" show-n-tell. Love that! 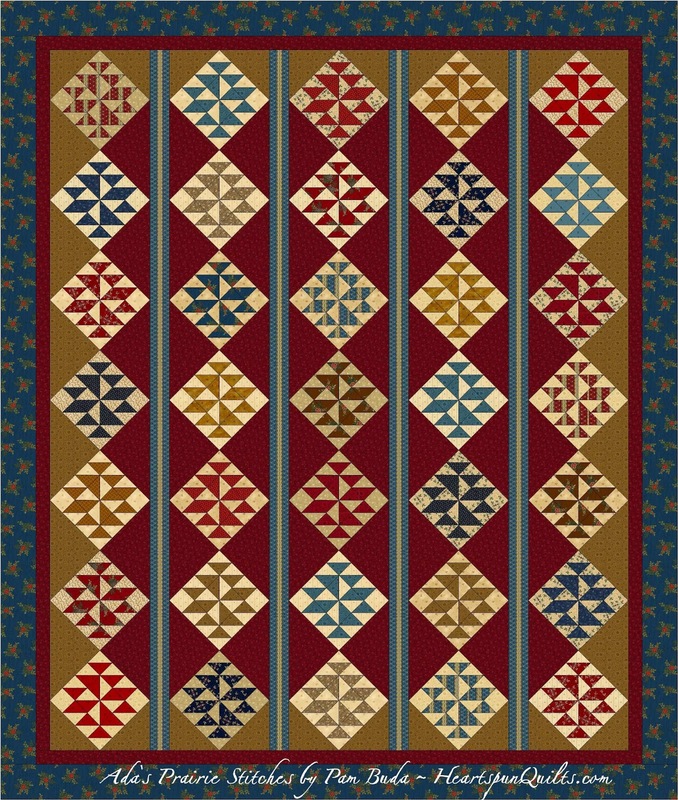 The red floral is the border for my quilt, and I chose 3 dark colors that coordinate with it: blues, golds and reds. There are four light prints, and each has a different job in the quilt, so refer to my notes below in helping to choose those. So, start rummaging through your fabric stash, clean and oil your machine, change your rotary blade, and get ready to sew! I'll keep you posted on our start date and all that good stuff, so stay tuned to my blog! With a little luck and some good digging, I was able to acquire more vintage Jell-O tins, so I have a limited supply of Tin Pinkeep kits available on my website. Get them while they last! I'll keep trying to find more tins, but ya never know when they'll be found! On a completely different note, one of my dearest friends (LM!!) once told me that perfection is so not all it's cracked up to be, and in fact, often makes people very unhappy because it's nearly impossible to attain/maintain. Her wisdom really stuck with me and is very applicable to every aspect of life. It resonates with me all the time, and never more so than when I'm about to teach a workshop. Now, I always begin my workshops by talking about our quest for piecing perfection. I still strive for piecing perfection every time I sit at my sewing machine, and there's loads of techniques, tips and tools to help us get there, but we're still human beings, and more often than we'd like, we're not perfect. So, I go on to say, that while I talk a lot about perfection and teach skills, etc, to get us there, in the end, we should be happy with our best work. Our best changes over the years as we work at our craft. We hope we do better work each year than when we started piecing, and for our fellow quilters who still struggle, encouragement and graciousness go a long way. My designer friend, Kathy Tracy wrote an eloquent blog post a few days ago all about this. 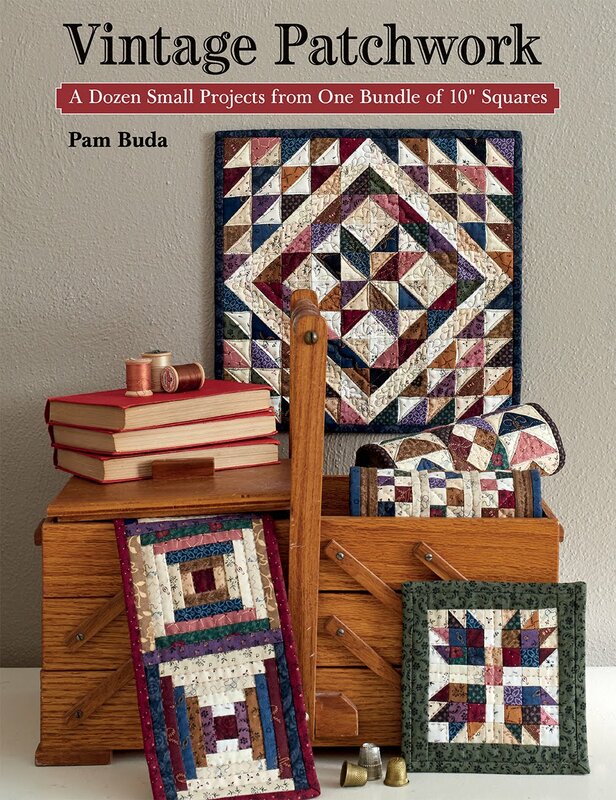 This subject resonates with me because as a teacher, I want to encourage skill building, continued education in our craft, and striving to do your best, but all too often see quilters become discouraged and want to give up. Do yourself a favor and click here to hop over to Kathy Tracy's blog.....and be kind to yourself and others! We should all just enjoy the journey this wonderful gift of piecing, quilting, and friendship gives us. 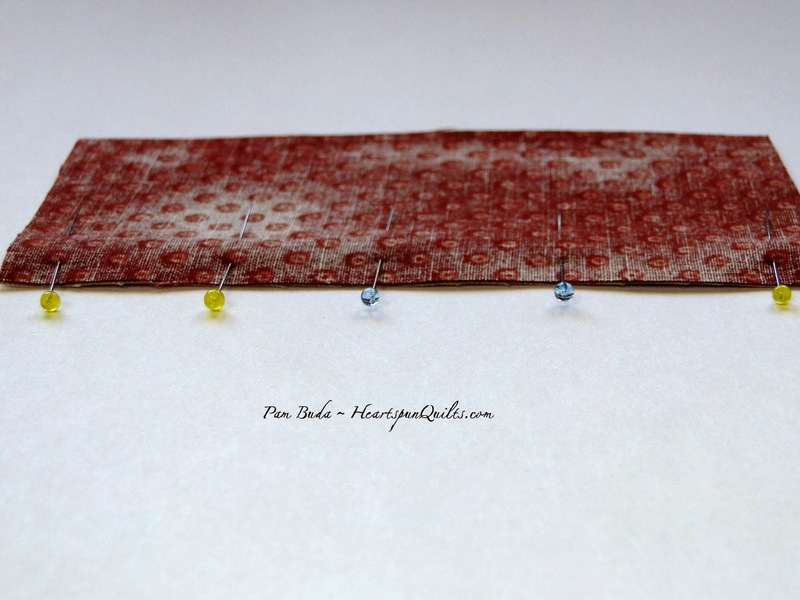 I'm a big believer that our quilting experience is made better by the little tips, hints and tricks passed along by our fellow quilters. There's a whole lot of talented and creative people out there quilting right along with you thinking up all this terrific stuff. To tell the truth, I'm not very big into notions until and unless they prove their worth to me, and every now and then, you come across a few that are worth their weight in gold! Here are a few of my favorite things that aid me when I'm preparing fabric, piecing, and hand sewing. I thought I would share them with you. Please look for these items at your local quilt shop. If your LQS doesn't carry them, they are available on my website. If they are out-of-stock, I will restock them soon, so check back. Much as I hate to admit it, I'm not a spring chicken here ~ groan. I wear glasses for reading and when I'm hand piecing, sewing binding or cross stitching (and pretty much all day. I have no-line bifocals). These clip on magnifiers are wonderful! They are light weight and comfy as you stitch away in perfect clarity. You can easily see over the top of them (to see the TV), flip them up out of the way, or change the power of the magnification. There are four different lenses included in the package: 1.75, 2.0, 2.50 and 3.0. They also fold flat so you can tuck them into your sewing bag or purse. Click here to read more about them. Don't be surprised if your hubby wants to borrow them....ask me how I know! These scissors are quite frankly the best I've ever owned! Friends and family seem to think that scissors are something I need a lot of, so I have a wide variety. 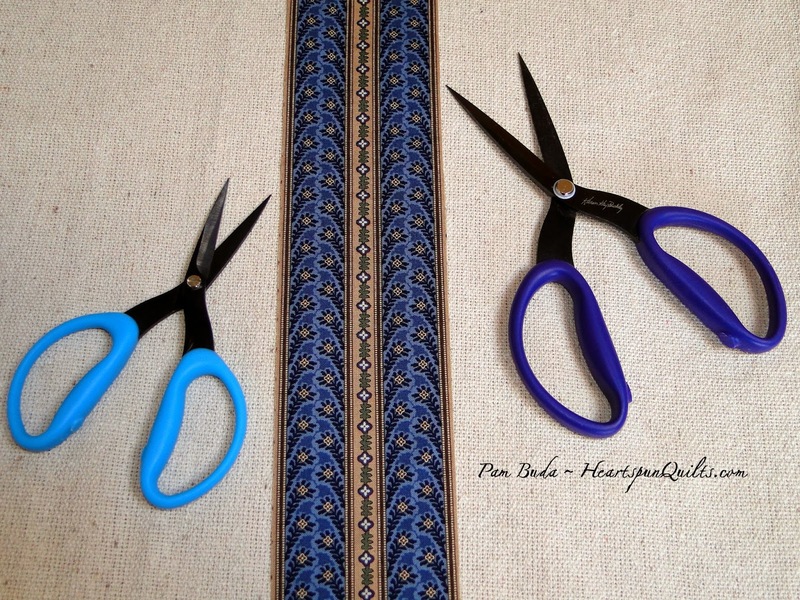 There are several things that make these scissors the best of the best. First, they are light weight, and as you know, heavy scissors become a problem in short order. Lastly, the blades are very sharp, of course, and they have teeny, tiny serrated edges. Those serrated edges do several things for you: they put tiny pinked edges in your fabric...so small you really can't see it, which keeps your fabric from becoming stringy and helps prevent unraveling. The other thing those serrated blades do is stop the scissors from "traveling" away from you. You know how when you're cutting - say a leaf shape - and the scissors can start to take off away from the shape you're cutting like they have a mind of their own? Well, the serrated edge keeps those scissors going where you want them to go! Now, this is not only important when cutting applique shapes, or hexagons, but for straight cuts, too. Who doesn't want to cut straight? Case in point....I hand cut the strips in the photo above with those scissors and had complete control which was so very important in order to get the design centered for my Ada's Prairie Stitches quilt. Worked like a charm! The size of the scissors is a personal preference. Last but not least....the lowly pin. Looks so innocent, but may be messing with your accurate 1/4 inch seams! How, you ask? These fine patchwork pins were engineered precisely for piecing patchwork. They are very thin and go through fabric "like butter". Because they're so fine, they will not distort your seams. 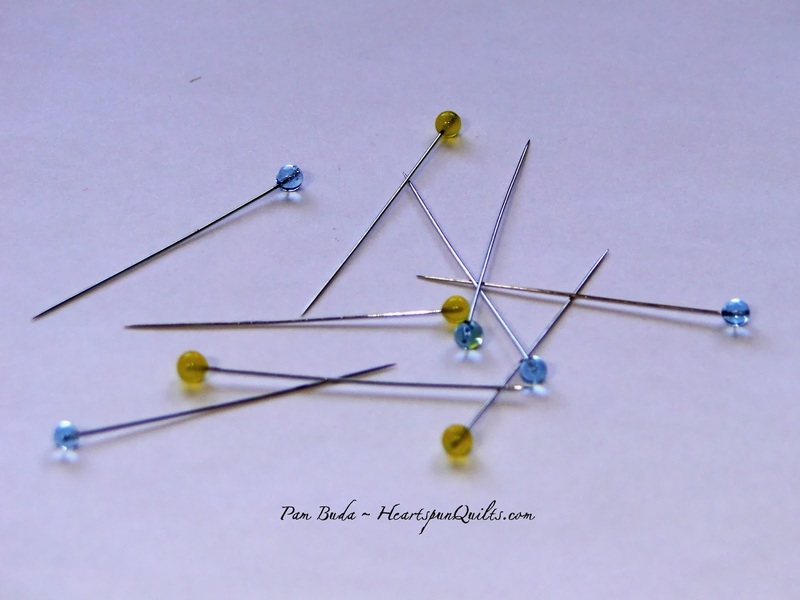 If your sewing machine needle hits one, the pins bend but the machine needle does not break, and the heads are glass so you can iron over them if need be. 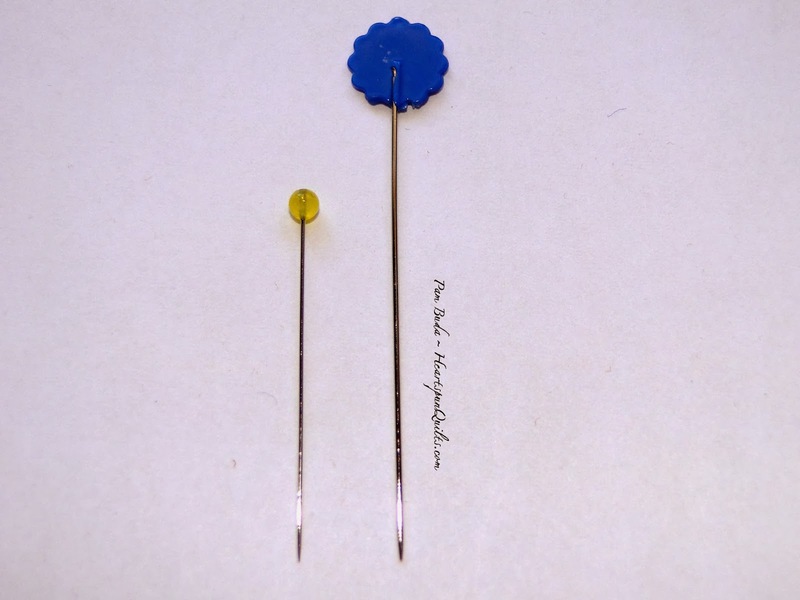 There's also a quilting pin version, with the same colored head with a thicker, longer shaft. Not meant for piecing patchwork though. 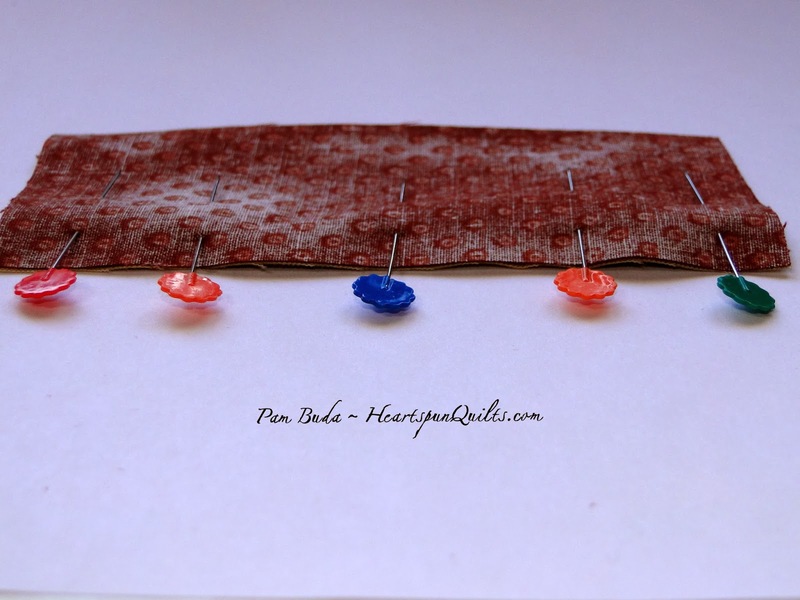 I'm a big believer in pinning patchwork, and these fine patchwork pins have made a huge difference for me. Unfortunately, they can be hard to find, so that's why I put them on my website. Click here for more info on the pins. I'll have a few more of my favorite things soon. Have any recommendations for good notions or tips to share? I'd love to read them and I'll bet everyone else would too! Please leave a comment so everyone can benefit.....I learn so many good things from all the quilters who take my workshops! 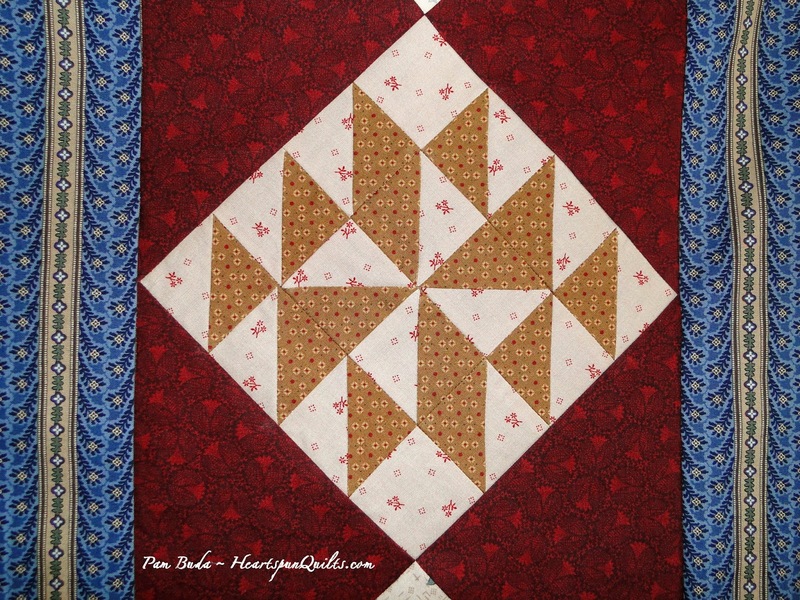 My pal and co-worker, Deb, has finished piecing my newest quilt design, Ada's Prairie Stitches. 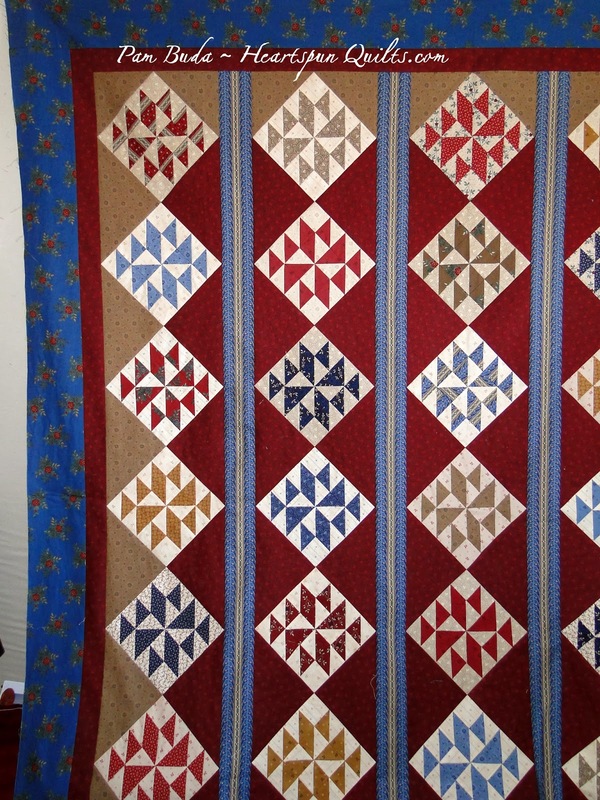 The quilt is now in the expert hands of another friend, Ronda, who will make magic with her long-arm. Before I dropped the quilt off at Ronda's, I took a few pictures of the quilt so I could show how great the fabrics are looking together. The quilt is bigger than my design wall, so I can only show you a portion. Gosh, I'm so lovin' how the blue stripe in the vertical bars looks against the red. When I was designing this collection, I so hoped it would turn out this way. You probably have no way of knowing this, but let me tell you that the creative team at Marcus Fabrics are very dedicated to making the fabrics and prints exactly how the designers envision them. Color and clarity are so important and they work and work to get it all perfect! I'll post pictures of the quilting when Ada's returns from Ronda's. and a kit will be available for pre-order only.